How CROs Can Reshape Reputation of Research | Macleod & Co.
Clinical Research Organizations often fall victim to bad press. “Guinea Pigs” and other rodent comparisons are bandied about without thought to the complexity of the issue, and certainly without thought to the immense good the industry has brought society. Combatting misconceptions is a difficult task. Addressing misinformation spread by an erroneous few is an entry into politics! What can be done to join the conversation and effect change, or at least create the opportunity to persuade? In a tightly regulated industry, that’s a challenging question. Holistic Marketing can help. Do you make information available to everyone, including potential volunteers, journalists and the general public about your organizational mission? Do you promote the benefit to science, society and special populations that volunteers are creating? Do you support and share content and information from other professional groups that tell the story of clinical research? The solution to misinformation is transparency. It is vital that your message is loud and clear AND believable. Messages you share from outside sources increase your credibility. It demonstrates confidence that you’re willing to share important information, even if you didn’t create it. Never engage in a shouting match — CROs know that better than anyone — but don’t sit silently, either. State your case plainly, frequently, and in lots of different ways. Understanding various audiences and their motivations allows us to craft messaging that’s audience-specific, as well as being consistent in the message and tone. Holistic Marketing is more than just integrating your communication across a variety of channels. It’s integrating your message across a variety of audiences. This messaging optimizes all channels and increases profitability. Another great strategy is to empower your advocates. You’ve got lots of advocates in your volunteer database. Ensure you’re doing everything you can to help them act on your, and the industry’s, behalf. And don’t stop at your own database — recall the many potential advocates you have in support groups, special population groups and partner organizations. Engaging all critical audiences will generate strength in numbers and build greater allegiance amongst your team. People are inspired to act on their emotions — offer an emotional hook as well as an intellectual one. That could be humor, heartstrings, or it could be the opportunity to contribute to something greater than themselves. 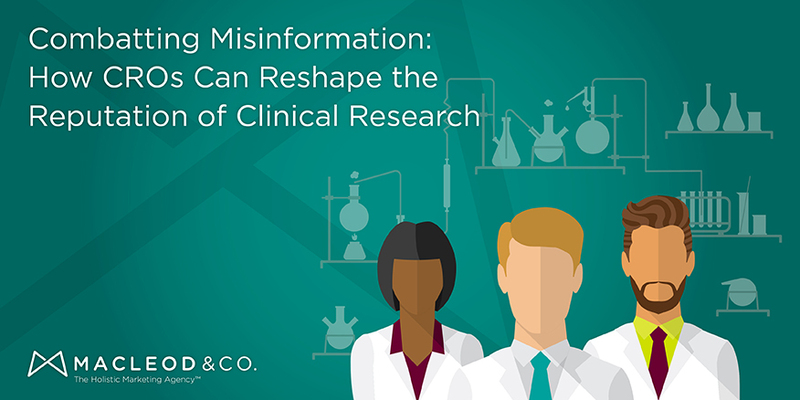 You may be doing clinical research, but your messaging shouldn’t be clinical. Think that can’t be done in a regulated environment? It can. We’ve helped CROs bring appropriate content to the right place to help transform hostile environments, and helped volunteers understand that they’re progressing science, or even just helping a loved one. Whether that’s a website, social media, printed collateral or staff training to ensure verbal messages are supportive, opportunities to change perception are all around you. One CRO we worked with allowed us to use social media to grow their volunteer database. Through the use of self-deprecating humor, we appealed to an older and more educated group than they’d seen before, and reached critical healthy populations that wouldn’t normally have considered volunteering for research. What’s more, this audience was able to actively speak on behalf of our client with greater credibility than a younger, less educated group. As a result of our Holistic Marketing approach, we knew we could bring their brand to life over social media because it was authentic to the brand experience. We knew from our inside-out understanding of their business and their audiences, that using humor would align them with a more educated audience and attract the volunteers they needed. Holistic Marketing successfully addresses the challenges Clinical Research Organizations face. Holistic analysis, optimization and alignment allowed these CROs to meet these challenges head-on and build opportunities that hadn’t previously existed. Are you interested in a free Holistic Marketing brand assessment? 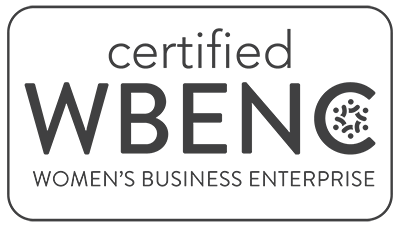 Give us a call on 612.315.5200 or drop us a line at hello@macleodandco.com and let us know you saw this blog post. We’re looking forward to helping you contribute to the conversation.